We’ve been huge fans of Olliegraphic’s work for a long time, and this custom kids’ growth chart is no exception. It’s printed on canvas for $53, and you can fully customize the way your boy or girl farmer looks, from hair color to facial expression. A true keepsake. 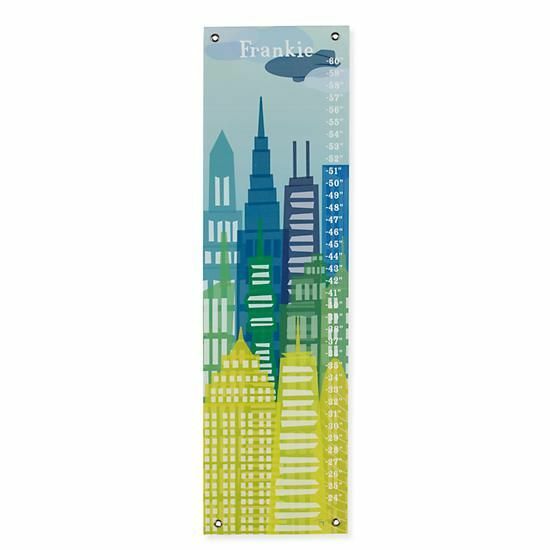 Kids (or moms) with a love for the city will want this City Skyline Growth Chart by Halfpence at Land of Nod. Aren’t those colors wonderful? You can customize it for free, and it’s printed on canvas with metal grommets for hanging, for $59. 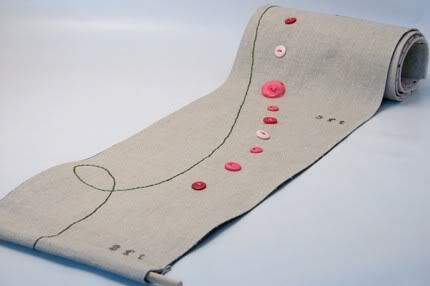 This handmade fabric growth chart by Etsy shop AEWilder is unlike almost anything else we’ve seen. This is so keepsake you could store it away to measure your grandkids on one day. Wow. While this one is a repositionable wall decal, we wouldn’t resist this adorable Yeti Growth Chart by Mikimottes — so awesome for kids whose rooms aren’t quite so precious. It’s $27.99 but note that it ships from Tel Aviv, Israel. In other words, if your kid seems to be growing overnight, know you won’t be able to mark the next milestone by tomorrow.